Oh Pootie Poot, say it ain't so. 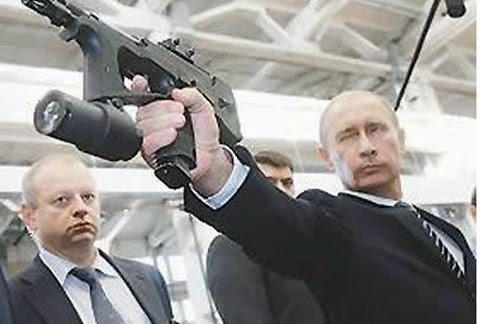 In Russia, guns don't kill, Putin does. Why? Why did you have to go and invade the Crimea (Southern Ukraine), and thus put the world in a situation that echoes the intro chords to World War II? Other than a nice vacation spot, and flexing your muscles to the world (which we've already seen plenty of), what is your goal? Like other historically flawed European rulers, we know you have delusions of grandeur. It's well known you dream of a Second Respublika, a return to the glory of the once powerful CCCP. The Ukraine has made it clear though, that "We are never ever ever getting back together." I'm sure Latvia, Kazakhstan, Belarus and other former Soviet protectorates feel similar. The Winter Olympics were wonderful. You overspent like crazy, and made us laugh during the closing ceremonies; but outside the Olympic village we noticed what you swept under the rug. Your house isn't quite in order, yet. Basic necessities (just like during your Soviet days) are lacking. That's okay. I too, have a hard time keeping my home clean. Because of this, I never comment on the chaos of anyone else's home, or offer advise on how to better organize their affairs. So let me say this firmly: Ukraine is not yours. Nobody cares how many ethnic Russians are there. You broke up. If Russo-Ukrainians don't like the new government in Ukraine, let them emigrate to the Motherland. Respect the process. truly understood how to put on a show. Otherwise, this whole thing looks similar to Berlin in 1936. Remember those Olympics? Hitler, adorning himself with lovely titles like Supreme Judge of the German Peoples and Führer, wanted to impress the world with German supremacy. His 100,000 seated Olympiastadion, public broadcasting on both radio and TV (TV in 1936! ), and a final count that beat the first runner-up USA by over 30 medals, for many might have proved that the German people were, in fact, a master-race. But the devil is in the details. Still early in his racial-cleansing sickness, Hitler wanted these games to be free of inferior races. He had his secret police round up the local gypsies (Romani) and throw them in the precursor of his infamous concentration camps. 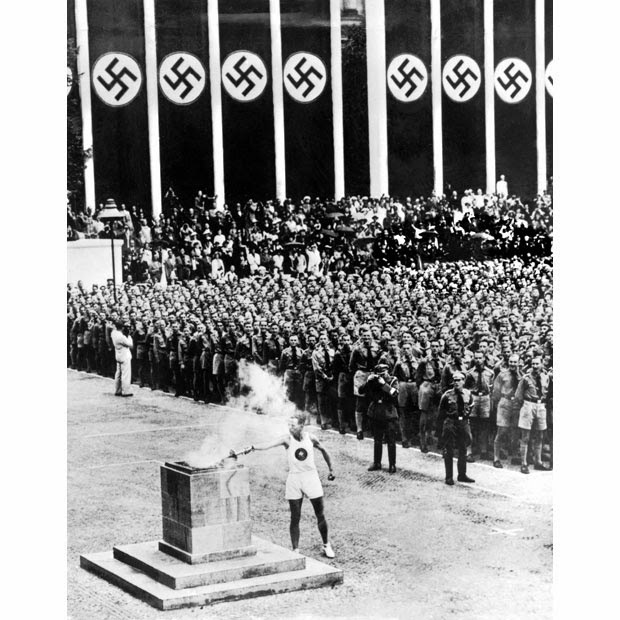 Joseph Goebbels wrote in the most famous Nazi newspaper that Jews and Blacks would not be allowed to participate in the Olympic games. It sparked international outcries of protest, and the Nazis reluctantly put their god-complexes on the back burner. Posters declaring "Jews not wanted" were pulled off German businesses just days before the Olympic games began. 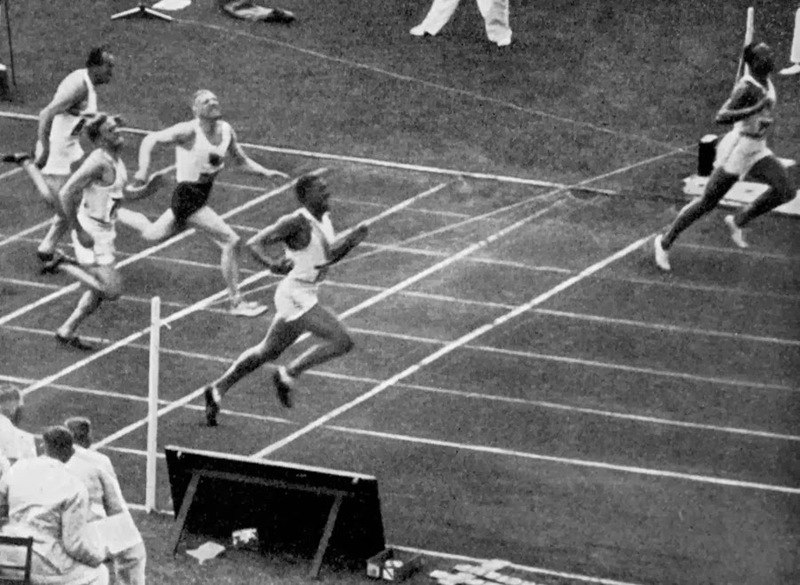 And then black American Jessie Owens stole the whole show by winning four Gold medals, and giving the metaphorical finger to Hitler's supremacy notion. big brother Mack was only .4 seconds behind. (He's also an Oregon Duck). Does this sound familiar Putin? Remember how you at first weren't going to allow gays to participate in the games, then took it back after international outrage? Remember how you let hoodlums and secret police rough up anyone who criticized your anti-LGBT agenda? I realize there is a huge difference between Russia's law against promotion of "non-traditional sexual relations" to minors, and Nazi Germany's idea of racial supremacy. But both prove an insensitivity and oppression to opposing viewpoints and minority peoples. And oppression is not in Ukraine's best interest. Self-rule is. Let them vote the way they want. And respect their outcomes (that goes for the United States as well). As long as corruption isn't involved, let the cards fall were they lie. And please, Europe, for once, stand together on this. For once, United Nations, show a backbone. You stood back and did nothing as Russia overreacted in Georgia in 2008 (and still occupies Georgian space). Do not repeat those early Wagner opera notes of Nazi aggression. 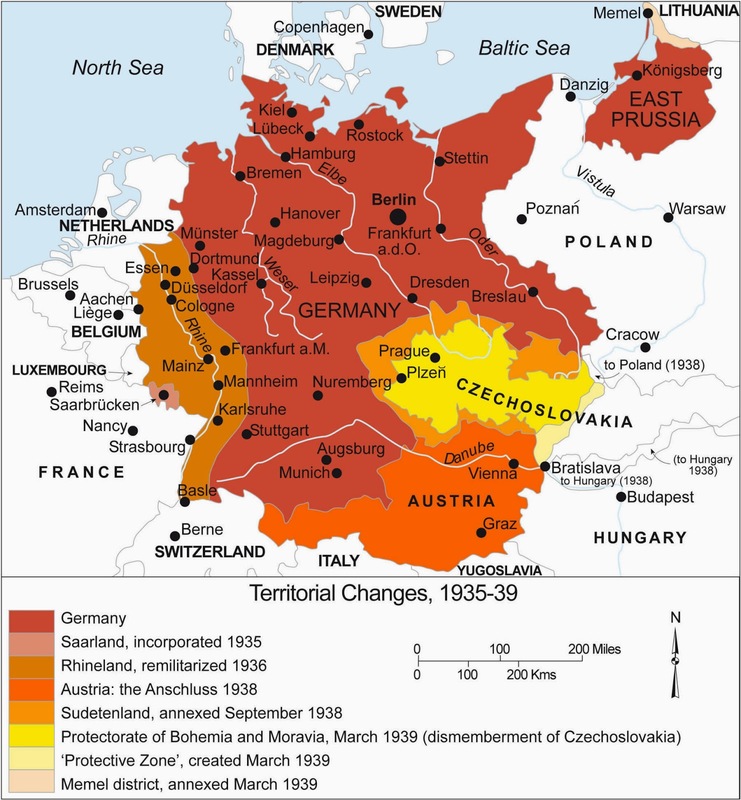 Do not appease like Chamberlain did when Germany took back the Saarland, then re-militarized the Rhineland, then annexed the Sudetenland from Czechoslovakia because "they were all basically Germans." There was no need for a Third Reich, just as there is no need for another Soviet Union. The world is big enough for its current borders. America backed out of the Syrian civil war at your request Russia; now we are asking you to do the same. Get out of the Ukraine, and stop pushing for the Cold War 2.0. Wise and poetic words from Taylor Swift. You've drawn some chilling parallels here. You've given food for thought. Snicker. I love the nickname "Pootie Poot."